In a press conference at the Electronic Entertainment Expo (E3) 2015 today, Square Enix announced that Final Fantasy VII will be landing on the iOS platform very soon. It’s been almost seventeen years since Final Fantasy VII was released, and in all this time the game continues to be followed religiously by fans across the globe, and has nothing short of a cult following at the moment. The game was originally released on the first PlayStation, and it appears Square Enix will be looking to port the exact game from 17 years ago onto the iPhone and iPad. The company also announced a new remake of the title for the PlayStation 4 with improved graphics. The PS4 version is slated for release this winter. Square Enix seems uninterested in porting the remake to iOS and the likely reason behind could be app size. Back in 2013, the game developer had gone on record saying that it would be years before Final Fantasy VII is released on iOS due to space limitations on the platform. All the earlier six Final Fantasy titles are already available on Apple’s App Store. 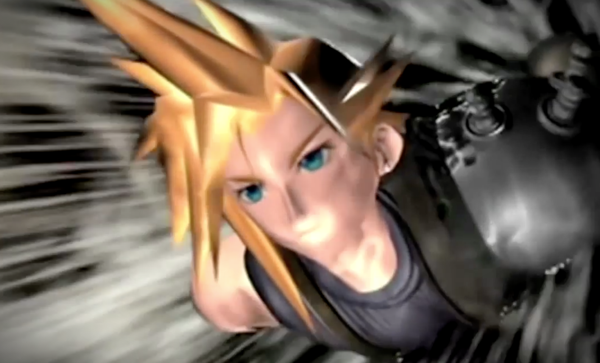 The PC port of Final Fantasy VII comes in at a whopping 3GB size. It was only recently that Apple allowed apps of up to 4GB size on the App Store. Previously this limit was 2GB, making apps/games like this on iOS impossible to release. With all of these limitations, it is quite obvious why the developers did not indluged in the PS4 remake of FF7 on iOS given the already inflated app size. It was just recently that Apple allowed apps of up to 4GB on the App Store, and now Square Enix looks well poised to exploit that opportunity. With all of these constraints and limiting factors, it is quite obvious why the developers will not indulge in HD graphics for iOS given the already inflated app size. It will still be a tough sell for people with 16GB iOS devices, but with Apple promising a smaller OS footprint on storage for iOS 9 update, this might just be workable solution for some. Coupled with the new ‘App Thinning’ feature introduced by Apple for apps in iOS 9, the game may actually see its size reduced even further. Final Fantasy VII could arrive as soon as end of this summer. Square Enix did not detail any other specifics about the game, including pricing and an exact release date.